The launch event saw team sponsors, students and staff gather together to see the new livery for the very first time ahead of the first race of the 2019 season. 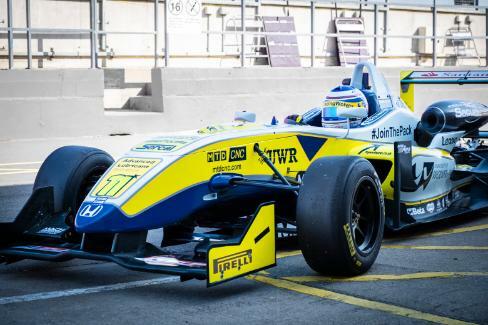 For the past three years, UWR has taken a top three position in the national F3 Cup Driver’s Championship. 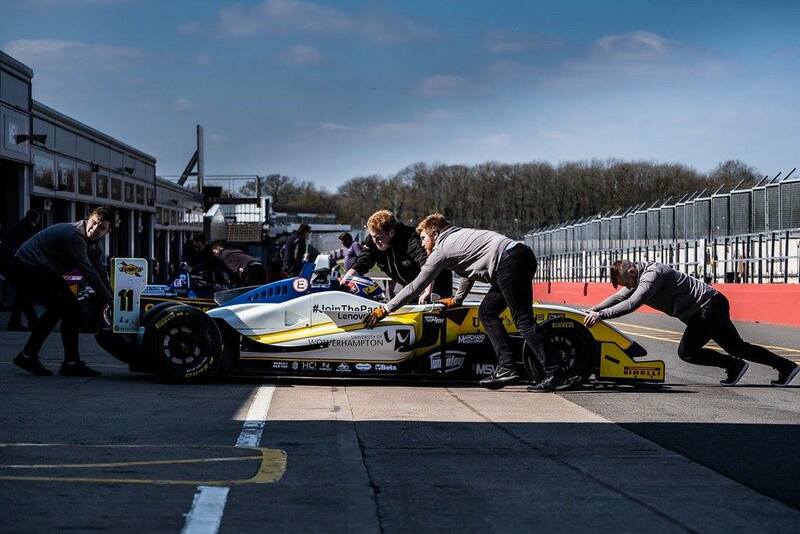 As the only University competing in the MSVR F3 Cup, UWR is taking part in all 18 rounds of the competition at world famous tracks including Brands Hatch, home of the British Grand Prix, Silverstone, and Donington Park. An investment of £10 million in the University’s engineering facilities at its Telford Innovation Campus in Priorslee has created world class education facilities for engineering students including industry standard design, development and testing facilities. Students from across the School of Engineering and the wider University test, prepare and race the cars, learning all the skills required to be part of the highly competitive world of motorsport. UWR takes part in the F3 Cup Championship, the IMechE Formula Student competition, the British Hillclimb Championship (driven by University of Wolverhampton Honorary Graduate, Graham Wynn OBE) and also race three Morgan development cars in the AR Morgan Challenge on behalf of the Morgan Motor Company. ‌Dr Syed Hasan, Head of the School of Engineering, said: “The significant investment we have made in engineering on the campus has provided us with facilities which are amongst the best in the country combined with a really attractive course offering for students who want to study engineering. “With a competitive motor racing team and committed sponsors, our students have a real hands-on engineering experience which meets the needs of future employers. Andrew Down, Motorsport Engineering student and Head F3 Data Engineer, said: "The launch was very successful and it was great to see the majority of the sponsors in attendance. “Without their support we would be unable to compete in this high end motorsport series. The skills, knowledge and experience I have gained is invaluable to the progression of my career in Motorsport." The first race event of the F3 Cup season takes place on 6th and 7th April at Donington Park National. UWR Team sponsors include official engine sponsor Securi-flex, official oils supplier Advanced Lubricant Solutions, FBC Manby Bowdler, Santander, Oceanscan, the Engineering Integrity Society, the Manufacturing Technologies Association, ActionPlas, Wynn Developments, Pro-Fix Access, Tungaloy UK, Technia, Sercal NDT, Quickgrind, Specsavers Telford, Laser Process, Dassault Systemes, Beta Tools, Graphite Additive Manufacturing, MTD CNC, HCi Systems, Hex Vinyl, Lenovo, Salop Design & Engineering, Zuken, Evolution Measurement, Boneham & Turner, Varley Red Top, Hub Le Bas and MyWorkWear. Find out more about the range of Engineering courses on offer at the Telford Innovation Campus on the website and follow the UWR Race Team’s progress on Facebook, YouTube and Twitter@UWRacing and Instagram@uwracing.